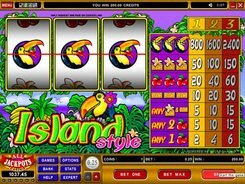 A very simple game, Island Style is a 3-reel Vegas-style slot with a single payline. 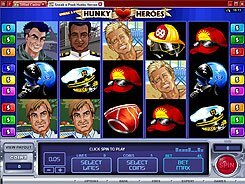 It has no bonus features like wilds, scatters or free spins, yet the game should take the fancy of all 3-reel slot lovers. The symbols set includes cherries, bars, flower bars and birds. Cherries are the lowest-paying symbols awarding 2 to 60 coins for one, two or three of a kind. Bars and flower bars grant up to 150 coins for three of a kind. 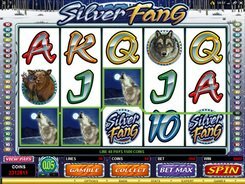 But the largest payer in the slot is the Bird symbol that awards 800, 1600 or 2400 coins if you have wagered 1, 2 or 3 coins per line. There are two adjustable bet settings: a coin size ($0.25 to $5) and the number of coins (1, 2 or 3). 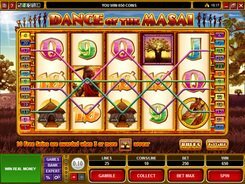 As you can see, betting three coins generates maximum cash prizes, e.g. 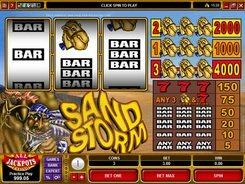 for three Birds landed across the payline your win may reach $12,000, which sounds fairly impressive. 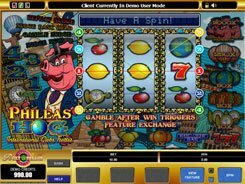 Despite its simplicity, the slot is very colorful and is recommended for players who like classical fruit machines. PLAY FOR REAL MONEY!